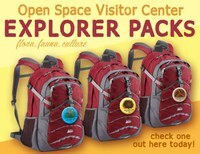 Check out the new an Open Space Explorer Pack program. 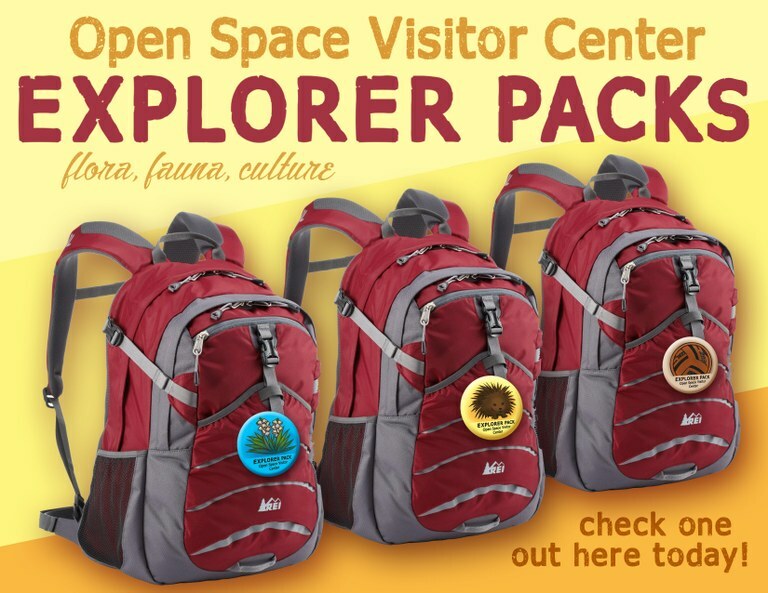 Starting this July, children, and children at heart are encouraged to stop by the City of Albuquerque's Open Space Visitor Center to check out an Open Space Explorer Pack and experience the natural wonders we have to offer. The City's Open Space Division and REI are sponsoring the Explorer Pack project, which strives to get families outside and in nature to learn about plants, animals, and cultural resources found within the lands the City of Albuquerque Open Space Division serves to protect. Visitors will be able to check out a backpack from the Open Space Visitor Center front desk and use the materials within to have a unique adventure. Each backpack is filled with exciting self-guided activities with themes including local flora, fauna, and culture. They can enjoy wildlife viewing areas, wetland and Bosque habitats, indoor and outdoor art displays, wildlife fields, archeology exhibits, interpretive gardens, and more. A valid I.D. is required to check out the packs, which must be returned to the front desk by 4:30 p.m.
To reserve a backpack for a particular time and day, call (505) 897-8831.